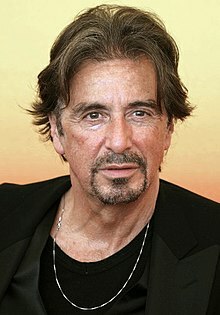 Alfredo James Pacino (born April 25, 1940) is an Academy Award-, Golden Globe-, Tony-, BAFTA-, Emmy- and SAG award-winning American film and stage actor and director. Off-Off-Broadway is absolutely necessary. It doesn't have to be sanctioned by the state, subsidized or anything. The plank and the passion is what it's about. You need friends, especially in the theatre, you need friends. You need people to interchange with, interface with, connect with. Together you’re going to make it, you’re going to do it together, you’re going to put it on, whatever it is. The greatest theatre that I experienced in my life was The Living Theatre and they were Off-Off-Broadway. And that was in the fifties. This page was last edited on 24 August 2018, at 00:23.